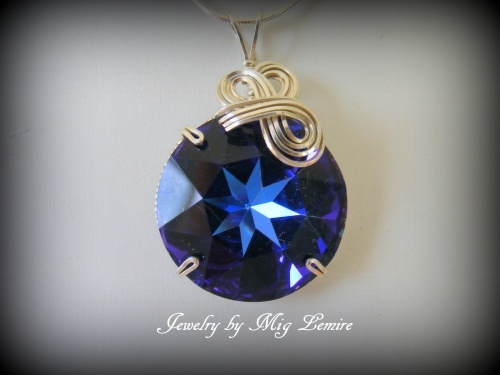 This mesmerizing Austrian Swarovski crystal is so elegant with its dramatic blue color and some shades of purples imbedded in it. Adorned with sterling silver curls it just explodes. Piece measures 1 3/4" long from top of bail to bottom and 1" wide. Comes with a sterling silver snake chain.